Maintaining the state of your Mongo container across updates. None of your data will be lost as long as you don’t intentionally remove docker volumes for db-data and mongo-config. You might want to add services for your front-end web server and other miscellaneous services along with just the my-mongoDB service, of course. Well, I can just tell you where MongoDB expects volumes to be mounted and why I wrote the service this particular way. However, that would not help you write your own compose file for your own custom application. Maybe, you are not using MongoDB, but Mariadb or Postgres. Let’s take a step back and go and investigate a MongoDB container and understand the thought process behind how the compose file was written. Nothing new has been added to the networks section (only the defaults are shown), but two new volumes have been created with long hashes as their name. Inside that long JSON output that would result after running the inspect command, you will notice that there are two mounts. These are the Docker volumes we listed earlier being mounted inside the container. The mount points are /data/configdb and /data/db. The volumes are still intact, and you can still see them listed (docker volumes ls). So any information stored by the MongoDB container is safe with us. However, if we try to run MongoDB container yet again. And then list the volumes (docker volume ls) you will notice that two new volumes are created and mounted. The information we may have retained in the older volumes is not being used. We need to circumvent this problem by naming volumes ourselves and then mounting them inside the container at their respective mount points. This way, when a new replacement MongoDB container is spun up and asks for volumes with particular names docker will gracefully mount the older volumes instead of creating new ones. To achieve this we refer to the docker-compose.yml file mentioned in the TL;DR section and it makes a little more sense to us now. You may not have a front-end application ready just yet. 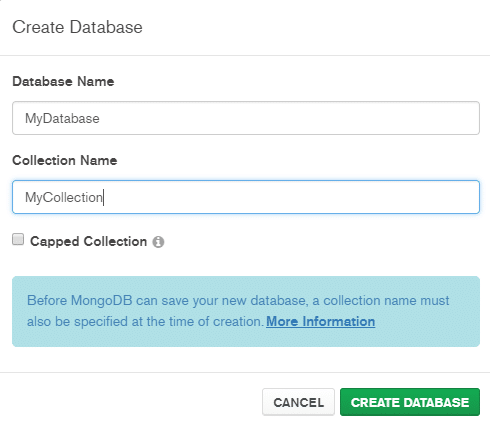 If you want you can still connect to the MongoDB server, create a new database within it, and add a few key value pairs. It is not typical SQL database, but rather a key-value store of sorts. 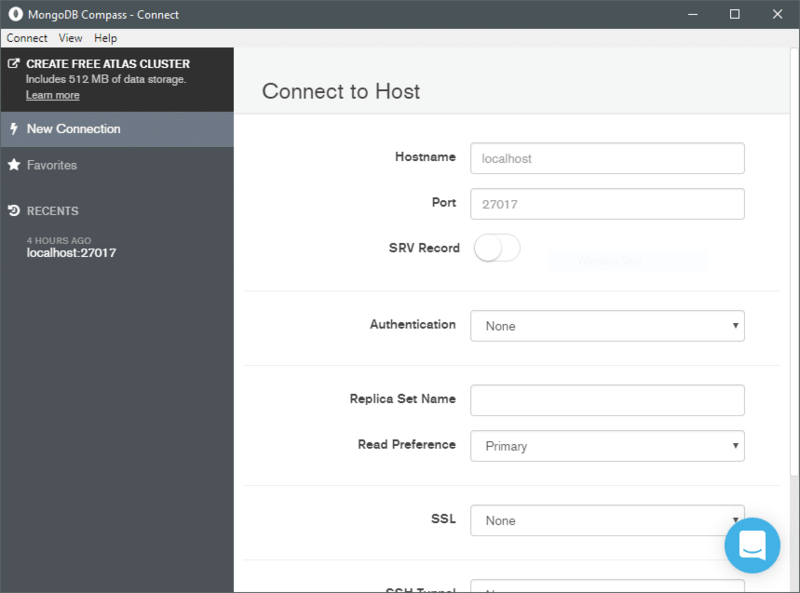 To see this in action, install MongoDB Compass which is a client program you can run on your desktop or laptop to connect to the database server. The next thing you want to do is open MongoDB Compass on your local machine and connect to the Docker Host. This maybe the address localhost:27017 if you are running Mongo container on your local machine. If it is running elsewhere, use the IP address or domain name of that machine with the same port number. Click connect from the bottom most corner and you will be connected to the Database. 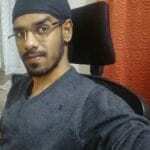 Lets create a new database and call it MyDatabase and within it MyCollection. You can now try to bring down the deployment, and get rid of ephemeral containers. Bring it back again with newer containers and you will notice that the data we created is still there. Here we saw how to run and use MongoDB container for your application. Still there’s much that has been left unsaid, for example, securing the Database with a password, querying data and scaling the database. You can learn more about it here or peruse the docs at your leisure here.